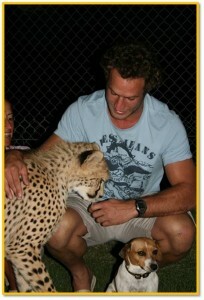 Andries Strauss is back home after a few years in Durban. 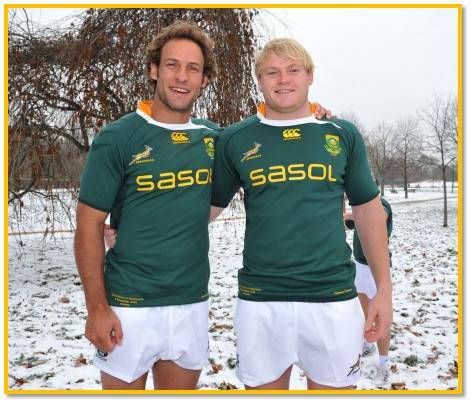 The Grey College product started his professional career with the Cheetahs, which led to his inclusion in the Under 21 Springbok squad in 2004. In 2006 he went down to the coast and spent the next 5 years playing for the Sharks and ultimately being selected for the Outbound tour in 2010. Cheetah’s fans breathed a sigh of relief when he decided to return to the Bloemfontein outfit in 2011 and he has re-established himself as a firm fan favourite again. Jabu is a massive fan of the Cheetahs, so when the chance arose to have a chat with Andries we naturally jumped at it! All Things Jabu (ATJ): Hi Andries, thanks for the chance to chat to you. How do you think the season went for you and the Cheetahs? Andries Strauss (AS): This season has been very tough for us, we set high goals for ourselves and had high expectations, and justifiably so. Unfortunately we lost a couple of close games that cost us, we feel like we let ourselves down a little. Having said that we have improved every year and will once again be optimistic about the coming season. ATJ: Having played for the Cheetahs and the Sharks, what do you think the big differences are between the two? AS: People ask be this quite often and to be honest the only difference is the lifestyle. Durban has a lot more to offer than Bloemfontein, but in both cities the people are great and ultimately it’s the only thing that really matters. ATJ: You moved back to the Cheetahs from a “big” Union, but mostly the Cheetahs are known as a team that lose players to bigger unions and overseas clubs. Does this frustrate the guys that stay behind? AS: It frustrates the supporters, players, coaches and everyone that has an interest in Cheetahs rugby. But one can ever blame the players that leave; they have their own careers and families to take care of. In the ideal world we would like to be able to keep the same group of players together for a couple of years, it helps to build a team culture and creates systems where players feel they can express themselves. I’m hoping that with the help from Toyota we will manage to keep the core of the team for next year. ATJ: We echo that sentiment exactly and would prefer to see Heinrich, Johan, Andries and Adrian in Orange than any other colour! 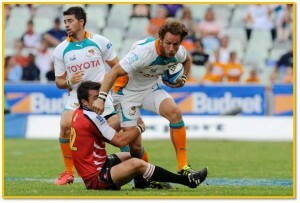 What is like being the Vice-Captains for the Cheetahs? AS: I have always enjoyed a leadership role in a team and with the Cheetahs it is no different. This year it has been easy for me to focus on what I have to do to contribute to the team because every player took on some responsibility. ATJ: Speaking of the leadership role, how much do you enjoy playing in the same side as your cousin, Adriaan? AS: We obviously come from way back and played together at school a couple of times, after that we played against each other and to be honest, he is a very difficult guy to stop! I’m happy to be in the same side now. We are good friends and spend a lot of time together away from rugby, which is a good thing. We also have the same visions and goals for the team and the future of the franchise, so all in all we make a good team. 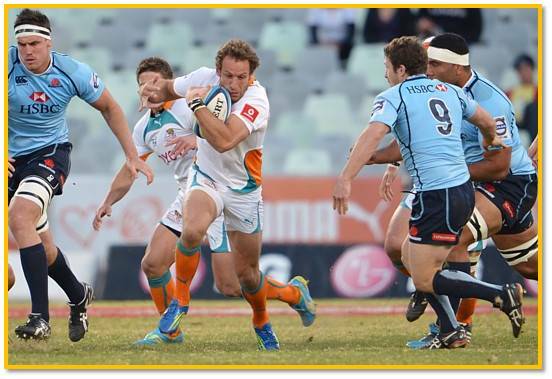 ATJ: Speaking of your goals, what are the Cheetahs goals for the Currie Cup this year? AS: We want to win; second best is not good enough. We have the ability and the team to do it this year, so there are no excuses if we don’t win. ATJ: We do not get too many players into the national squad with the Cheetahs, however, who do you think will be the next Cheetah Springboks? AS: The most obvious is Johan Goosen, he is a great and talented player and he’s willing to work hard. Other guys that I believe are not far from selection is Piet van Zyl, Lappies Labuschagne (Pieter) and Hennie Daniller. ATJ: Looking back at the 2012 Super Rugby, it saw the launch of the White Card. You were the first recipient of said Card; do you think the system is working? AS: I think it’s a good system, implemented correctly it has to benefit the game. Being the first recipient of the white card wasn’t the proudest moment in my career, never in my life have I ever received any card or have I been sent off the field, so it was a unique experience for me. ATJ: What about the format of Super Rugby, do you think it is good or bad? AS: It’s hard to tell at this stage; personally I would like to complete the Super Rugby competition without having to take a 3week break. ATJ: All Things Jabu is a fan of all sports, are you a fan of any other sports? AS: I like sport, at school I tried out everything and at one stage believed that my future was in cricket. These days I follow a lot of golf and play it quite often, if I had a choice and enough talent I would have loved to play on the PGA tour. I also watch cricket and soccer regularly. ATJ: Fantastic stuff! Who do you support? AS: The soccer teams I support are Man United and Barcelona. In cricket it’s the Proteas and with golf there are too many to mention, but obviously I’m a big Ernie fan. ATJ: If you weren’t a professional rugby player, what would you be doing full time? AS: Having played for almost ten years now and almost my entire adult life it’s hard to say, but I want to be outside and be active, I could never sit in an office all day long. I would probably be in coaching; sport has always been part of my life. AS: They can follow me on twitter at @andries_strauss, otherwise come around the Free State stadium. I’m always available for a chat. ATJ: Thanks so much for the chat! Good luck for the Currie Cup!